In the name of Animal Friends we would like to express our gratitude to you for taking action in Heather Mills' initiative with which she is inviting people to a compassionate, ecologic and healthy diet. We would like to comment the article "Mills suggested people to drink rat's milk" dated November 21, 2007 in Novi list newspaper. 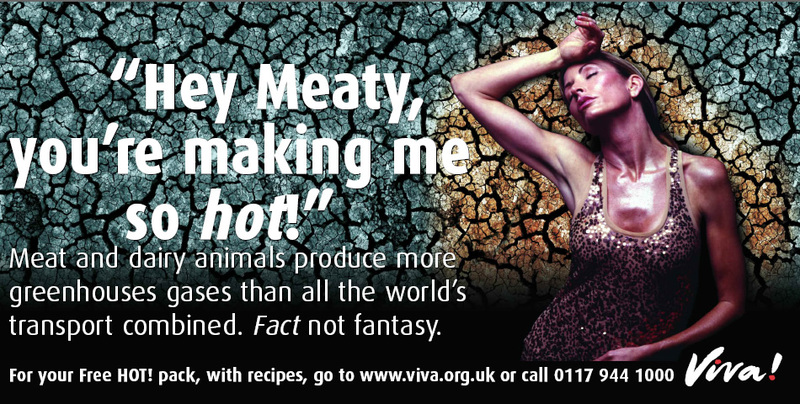 A famous vegan Heather Mills does not use animal origin food, and therefore she does not drink any animal's milk. According to this, her message does not suggest drinking rat's milk, but her intention was to show the absurdity of drinking animal's milk in general. With the sentence "Why don't we drink rat, cat or dog milk" she wanted to show to the citizens that it is unnatural to drink cow or goat milk given that the majority of people retains unthinkable to drink other animal milk, for example rat's or cat's, given the fact that human kind is the only animal species who drinks another animal’s milk at adult age. Heather Mills appeared on billboard ad "Hey Meaty, you're making me so hot! ", sending out the message about how the consumption of meat and dairy products effects global warming. More than 50 billion animals are killed every year in factory farming for human habit of eating meat. 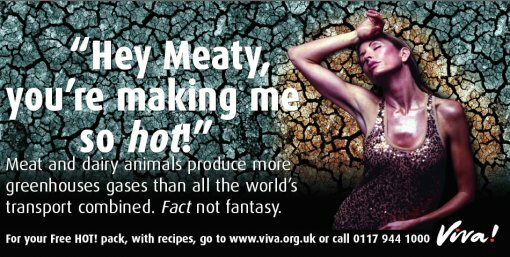 "The startling truth is that animals farmed for meat and dairy are now one of the greatest threats to the planet," says Heather Mills. "They are at the heart of almost all the world's environmental catastrophes. Viva! has been saying this for years and now the UN has confirmed it with a report so detailed that it can’t be ignored – except by the government. It remains silent and continues to pour huge subsidies into meat and dairy farming. Fortunately, as individuals we don't have to wait for anyone. You can end your involvement in this vandalism overnight and help to secure our children's future. All you need to do is change your diet – it's that simple. Change your diet – change the world!"